Opera singer Giuseppina Strepponi died on this day in 1897 at the village of Sant’Agata in the province of Piacenza in Emilia-Romagna. She was the second wife of the composer Giuseppe Verdi and is often credited with helping him achieve his first successes, having starred in several of his early operas. 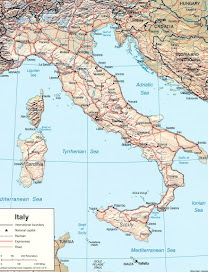 Strepponi was born Clelia Maria Josepha Strepponi in Lodi, a little over 40km south-east of Milan, in 1815. 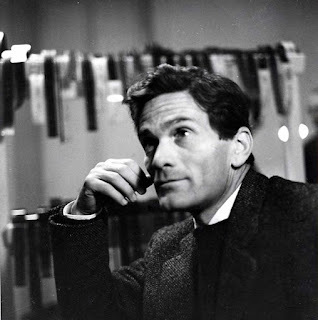 Her father was the organist at Monza Cathedral and also a composer and he gave her piano lessons when she was very young. At the age of 15 she was enrolled at the Milan Conservatory and she won first prize for singing in her final year. 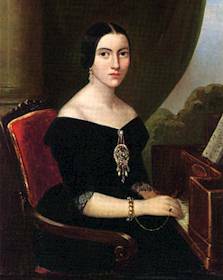 Strepponi made her professional debut in 1834 at the Teatro Orfeo in Taranto and enjoyed her first success the following spring in Trieste, singing the title role in Rossini’s Matilde di Shabran. She quickly became a celebrity, singing Donizetti, Bellini and Rossini roles all over Italy to great acclaim. She made her debut at Teatro alla Scala in Milan in 1839 as Leonora in the first production of Giuseppe Verdi’s first opera, Oberto. Her strong performance was one of the main reasons the opera was received so well. Despite suffering illnesses, Strepponi continued to be a popular singer in the early 1840s. She sang the title role in Donizetti’s Adelia in 1841, which he had written specifically for her. In 1842 she received acclaim for her performance of Abigaille in the world premiere of Verdi’s Nabucco at La Scala. By 1844 she was beginning to experience vocal problems and she had a disastrous season in Palermo in 1845 when she was booed by the audience. Most of her performances after that were in Verdi operas and she retired from the stage in February 1846 at the age of 31. Her voice had been damaged by overwork during a career in which she had several affairs and carried on working through at least three known pregnancies. It was only after she retired and moved to Paris to become a singing teacher that what had been a professional relationship with Verdi blossomed into something more. 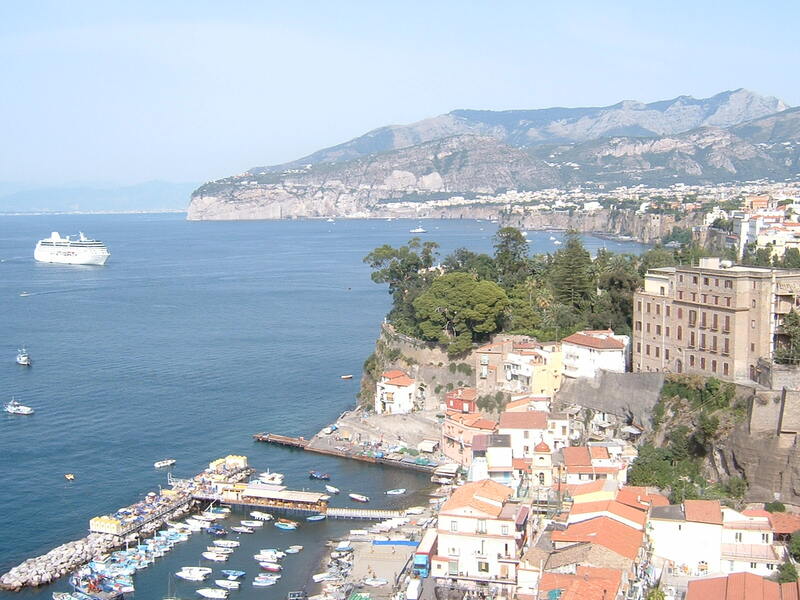 A widower whose first wife, Margherita, had died young, Verdi visited her there and they began a romance. 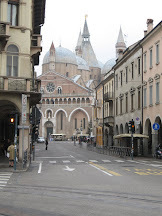 The couple returned to Italy in 1849 and began living together in Busseto, Verdi’s home town. 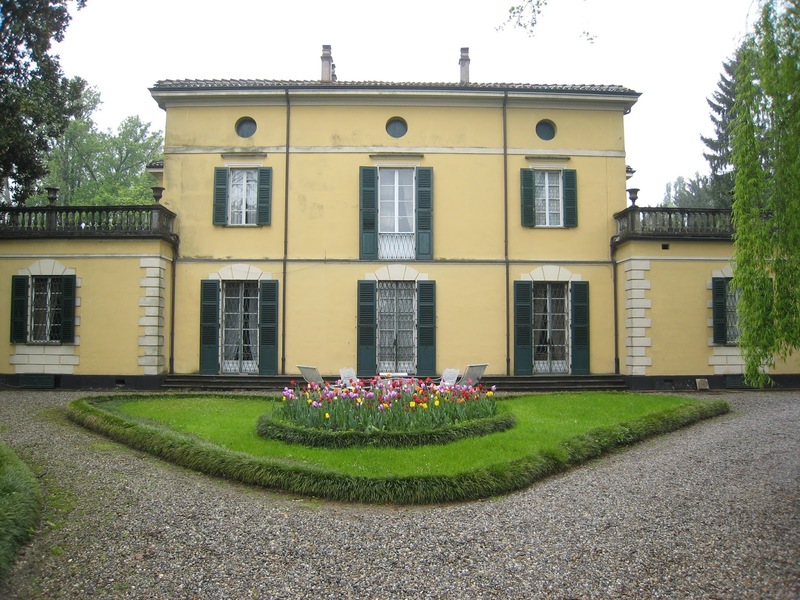 She was shunned in the town and at church because they were not married and so the couple moved to a house in the nearby village of Sant’Agata, which is today known as Villa Verdi. 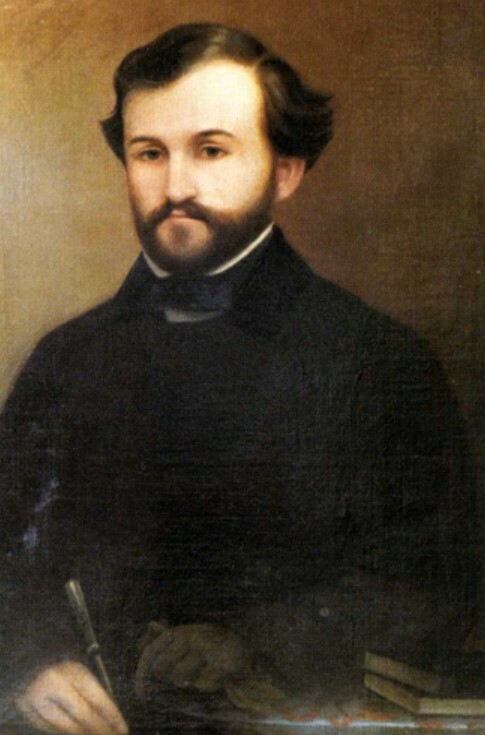 Strepponi helped Verdi’s work by translating for him and supplying comments and criticism while he was composing. 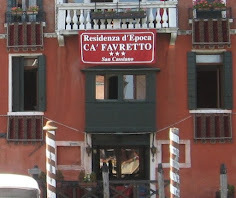 They were finally married in 1859 and lived together happily until Strepponi became bedridden through arthritis. She was 82 when she died from pneumonia on November 14, 1897, and was initially buried in Milan. Verdi had left instructions in his will that he wanted to be buried next to her, but after his death he was buried in another cemetery in Milan. However, so they could be together once again, on February 26, 1901 their bodies were both transferred to be buried in the oratory at the Casa di Riposo, a retirement home for musicians Verdi had created. At the ceremony, Arturo Toscanini directed a choir singing the famous Va, pensiero chorus from Nabucco. 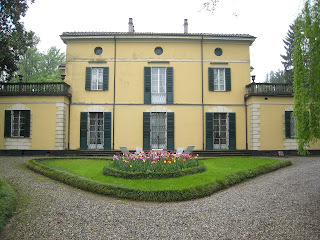 Villa Verdi, where Strepponi died, is a house Verdi owned from 1848 till his death in 1901 in the village of Sant’Agata in the province of Piacenza. He extended the original house and developed the park around the house, planting many exotic trees. Today visitors can view some of the rooms, including Strepponi’s room, with its original bed, where she died in 1897. 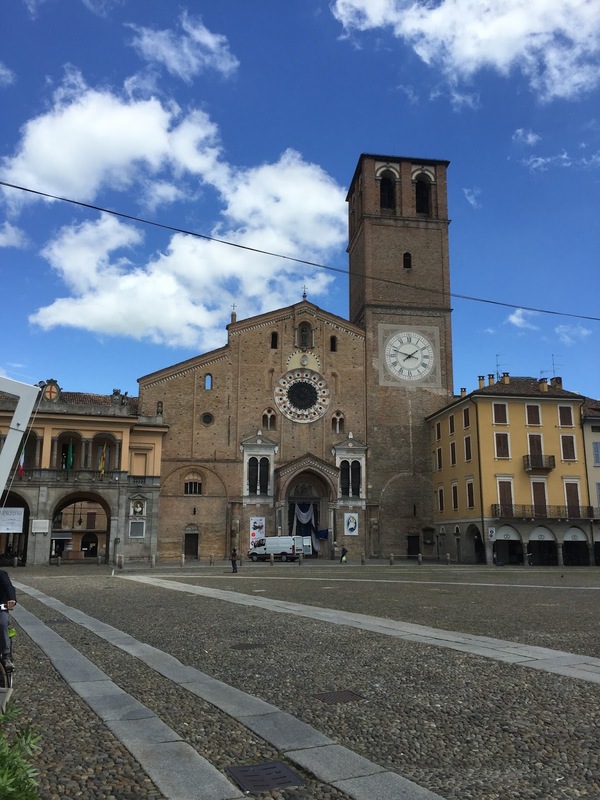 Lodi, the birthplace of Strepponi, is a city in Lombardy, to the south-east of Milan. 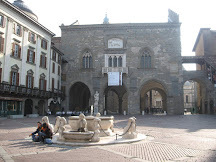 The town’s main square, Piazza della Vittoria, has porticoes on all four sides and is listed by the Italian Touring Club among the most beautiful squares in Italy. In 1796, in his first major battle, the young Napoleon Bonaparte defeated the Austrians in the Battle of Lodi.